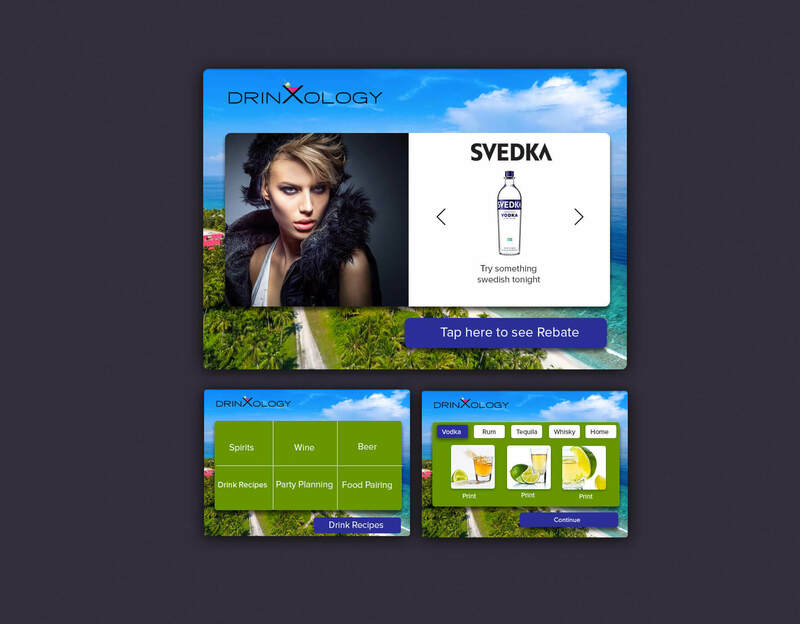 Drinxology is a native Android TV app that fuels the endeavor of a digital marketing agency. The objective of the app is to advertise and market the alcoholic beverages like wine and spirits to consumers at kiosks. Drinxology is a New York, US-based digital marketing agency that focuses on the wine and spirits business. The company helps their partners to drive brand awareness and customer-engagement rate and, ultimately, tap the opportunity available with the $24.1 billion and growing alcoholic beverages industry. The native Drinxology app orchestrates a win-win strategy for everyone involved in the business of wine and spirits, including customers. Here is a walk-through. Retailers can manage their display advertisements and customer-acquisition operations effectively at different kiosks. Thus, a sales manager heading the business can not just exercise control on the type of ads being shown to the audience but also have a 360-degree view and control on different kiosks that are operating under him or her. He or she can assign content or products to different kiosks and take a stock of how they work.